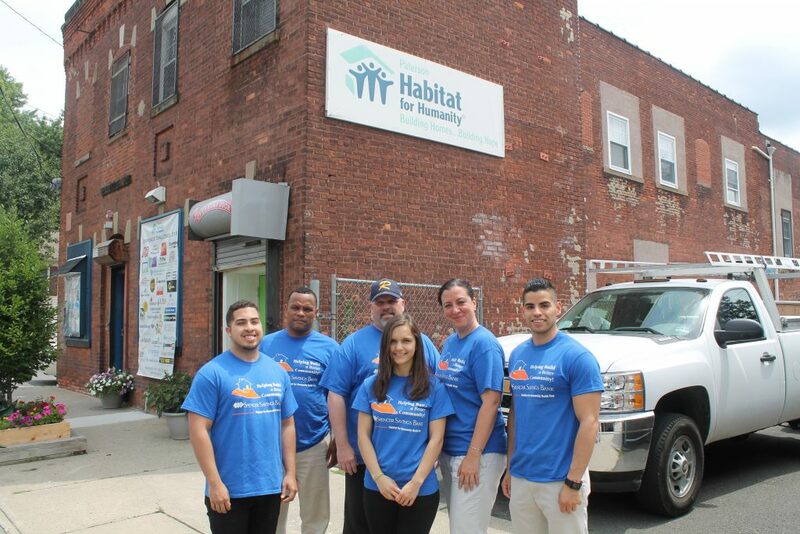 PATERSON, N.J. (July 12, 2016) – Spencer Savings Bank, a community bank headquartered in Elmwood Park, N.J., participated in Paterson Habitat for Humanity’s Corporate Challenge for the ninth consecutive year, helping the non-profit group raise funds and create new homeownership opportunities for families in the area. A team of six Spencer employees volunteered their time for a July 1st Build Day, which consisted of insulation prep and concrete slab prep for a single-family new home. The bank also made an additional donation of $2,500 to the organization. Now in its 22nd year, the Corporate Challenge is Paterson Habitat for Humanity’s peak annual initiative combining construction volunteer work and fundraising. The three-week event is the only time of year that the organization raises funds from construction volunteers, drawing corporations from all over the Tri-State Region. In 2015, the Corporate Challenge raised over $225,000, 100% of which will be used for building materials. During this time, almost 800 corporate volunteers built two houses in four weeks during this event.